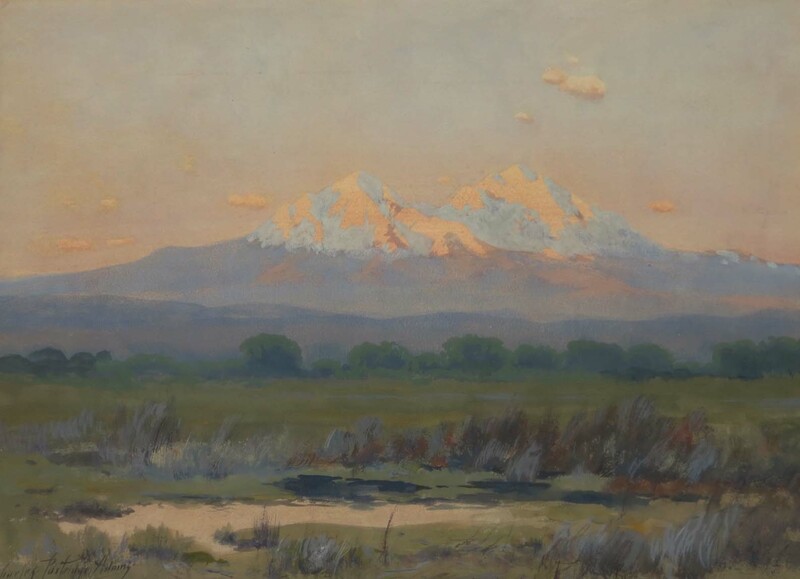 Widely considered to be Colorado’s’ finest landscape artist, Charles Partridge Adams had a deeply engrained love for the natural world. Adams wrote in his memoir: “I saw the Rocky Mountains as I had dreamed of them before I came west. Towering above a great valley filled with afternoon mists, their summits glistening with the pure white of winter snows. They formed an entrancing sight that I can never forget.” After moving to Colorado from Massachusetts in 1876 at the young age of 18, Adams began spending the bulk of his time outside of work travelling the state and painting its many epic landscapes. Adams was mostly a self-taught artist, learning through experimentation and interaction with other artists of the time. This process of teaching himself to paint and his diligent work ethic resulted in him being a highly prolific painter creating over 1,000 works in his lifetime. Even in 1893, when the silver panic hit Colorado and the economy nosedived, he managed to reach scenic sites and paint by striking up a deal with the railroad. In exchange for two of his works, he and a photographer friend received a free railroad pass, a private car, and the services of a cook. In 1900 Adams began renting a studio in Estes Park, where he began to find success in selling his artwork to tourists. He became known for his stunning views of snowy mountains peaks and is his ability to capture very fleeting lighting. 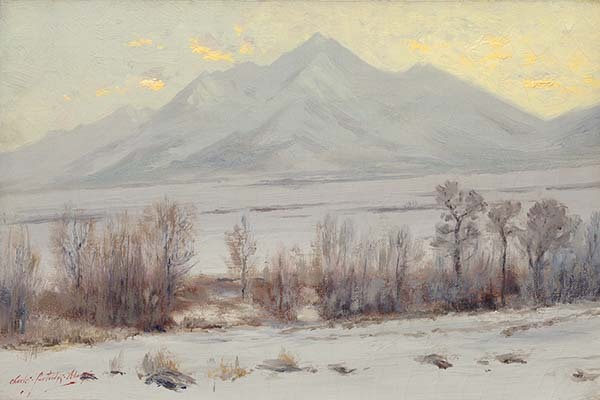 Because of his love and time spent in Colorado, Adams created a personal bond with the landscape that is very apparent in his artwork, “He gathered an intimate knowledge of the state and had a deep emotional connection to it,” says Thomas Smith, co-curator of the exhibit Rocky Mountain Majesty: The Paintings of Charles Partridge Adams (1858 – 1942). Charles Partridge Adams artwork is still highly sought after in private collections and museums, including the Denver art museum. Anyone who has been to Colorado and has experienced its stunning natural beauty can see the love and passion in Adams paintings. His masterful depictions of our mountains peaks allow the viewer to fall in love all over again with the majesty and mystery of the mountains.